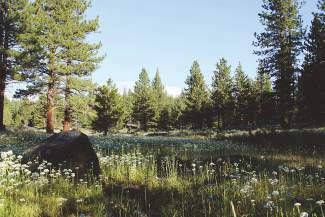 A site within the proposed Canyon Springs residential development at the eastern end of Truckeet. The project will go before the Planning Commission early next week. 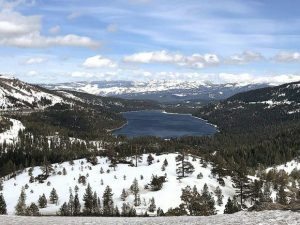 TRUCKEE, Calif. — After years in the public review process, the proposed development for the eastern end of Truckee that’s garnered criticism from residents — and praise from the developer — is heading to a vote. 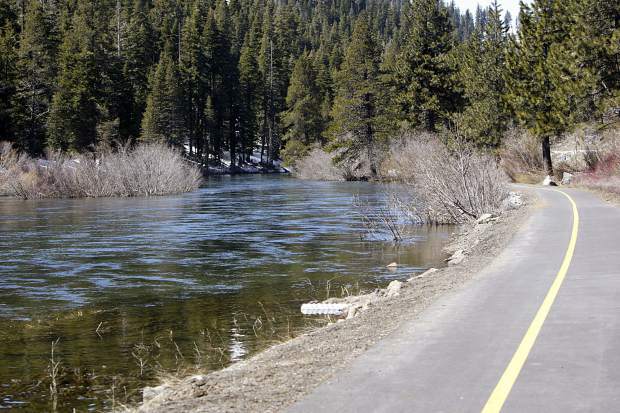 A two-night public hearing will be held Monday and Tuesday at Truckee Town Hall, where the Truckee Planning Commission will listen to presentations and comment before deliberating on the Canyon Springs project. According to the town, public comment will be taken Monday evening and may be taken the following night if the commission decides there was not enough time to hear all comments. Otherwise, Tuesday is reserved for commission deliberation. The commission is anticipated to take action on several items ranging from environmental documentation to a site map, but could decide to continue the meeting for more information, Nishimori said. The commission will serve as the final decision-maker regarding the Canyon Springs development, unless an appeal to its decision is filed with Truckee Town Council, she said. Under that scenario, town council would review the project, with its action being the town’s final action. Any additional action would have to occur in court. 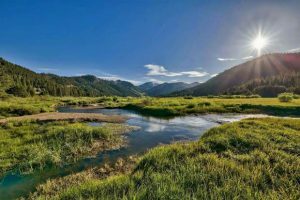 The residential development, which is proposed adjacent to Glenshire, has elicited a range of concerns from the public, including impacts to traffic levels and safety, noise, natural views and wildlife, particularly the Loyalton-Truckee mule deer herd. Meanwhile, Truckee resident Christopher “Chip” Huck, who is a property owner of the development site and project manager, said he foresees Canyon Springs having multiple benefits, including support for existing and future local businesses, helping to provide affordable housing, contributing to town and district fee and revenue generation, and providing more than four miles of improved public trails. Released on Oct. 28, 2015, the final Environmental Impact Report on Canyon Springs concludes the project will not create any significant unavoidable environmental impacts and that all potential impacts are either less than significant or can be mitigated to less than significant. As proposed, the project outlines a total of 203 lots — 177 single family market-rate lots and 26 single family affordable housing lots — to be built out in phases on approximately 284 acres, of which about 182 acres will be preserved for open space and public trails. If approved by the Planning Commission, construction of the first phase — which would consist of roadway and a portion of lots — could start as early as 2017, Huck said. Canyon Springs is proposed to be built out in eight phases based on market demand, which could span 20 years, he said.